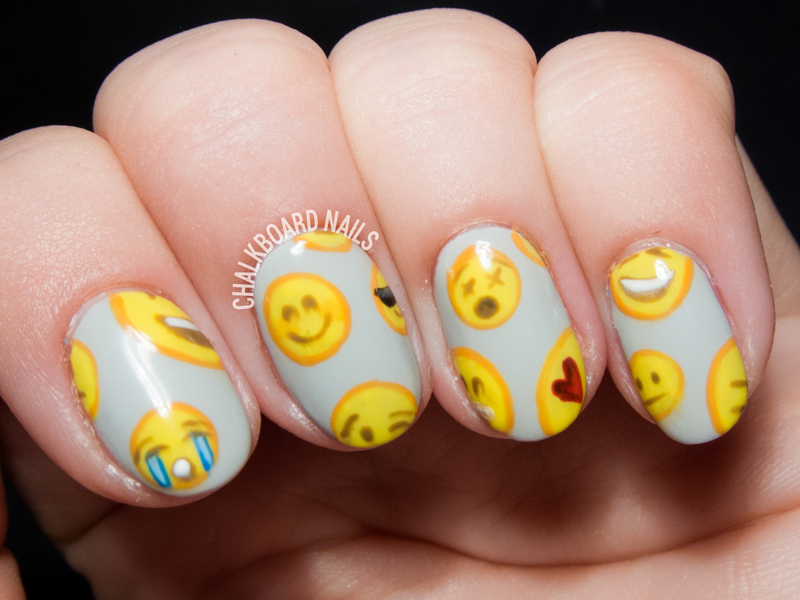 It's "yellow" day in the 31 Day Challenge, and I've decided to do some nail art showcasing everyone's favorite texting tool: emojis! I don't know where we would be without emojis, I use them CONSTANTLY to convey tone and emotions I can't put into words. For my selection of emojis, I decided to limit myself to only emojis that were in my "recently used" section, so these are a pretty accurate representation of what you'd see from me IRL. The "hearts for eyes" guy may be my most frequently used one. A reader the other day noted that I've been using a lot of Gel Play lately. If you're unfamiliar, they're thick, opaque art gels that are intended for nail art uses (similar to Presto Art Paints if you know of those). They're great because they stay exactly where you put them, don't run, and can be set into place by curing. It's really awesome stuff and so I reach for them frequently.